and she fell 43 stories only to land safe and alone in the familiar sub-basement of her life . . .
Today is Christmas Eve. My son, Django, is in the next room and for some reason I’m compelled to write about things that are older than he is. Sharp objects that carved the path to where we are now. Thirteen years ago, I was about halfway between the number of days until I would go into labor with him and the number of days since his father had last deceived me. That amounts to about four, on either side, I guess. A four-day stretch to reach either. I’m a pretty strong woman, I think. Maybe that’s only true in theory. I’m not sure. …he was so handsome and laid-back and had such swagger. …he had these sad, bruised eyes and this dark, almost doomed demeanor. …I loved him in a way that a person isn’t even meant to love. …he was like an illness to me, an addiction. I lived far from the home of myself just to be able to sleep cold and wet on the doorstep of his existence. Being with him was horrible. I wish I could reflect back and say that it was romantic and that I rescued him. Or that he rescued me. But not all stories have happy endings. Despite many attempts, I could never leave him on my own. In the end, I hired a professional to help. A hypnotherapist, who put me under, and demanded that I walk away. “I can’t,” I told him. Somewhere so far deep inside of me, my son’s dad and I were in a dark tunnel, and he was holding on to me. It was so clear, in that one moment, the betrayal that not loving him was going to be. 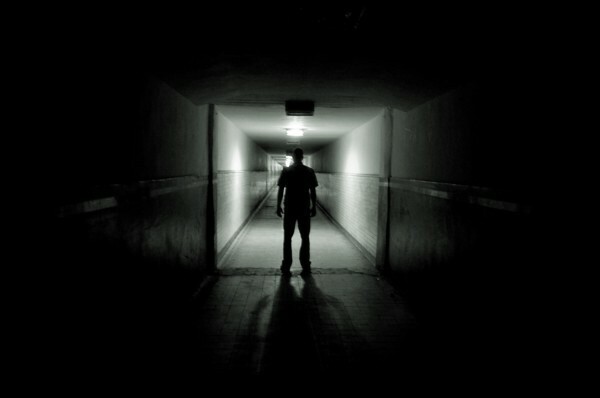 “What’s outside of the tunnel?” the therapist asked. I turned and looked, and my tow-haired boy was waiting in the sunlight. “Do you want to go to him?” the therapist asked. And I bawled my eyes out and turned my back on my son’s dad. And I left him there. Just like that. If there was one thing, ever, that really did me in, it was that. If there was one thing, ever, that really saved me, it was that. This was all so forever ago. But here it is, Christmas Eve, and for some reason, I’m remembering this. I guess I’m feeling his shadow. I really want him to be loved. Do you believe me? Because I really do. Posted in the seducer.Tagged exes, Family, light and dark, Love, relationships, shadows. Christmas opens the door of the memory closet in a beautifully painful way. I’m glad that you’re ultimately able to view the situation in a healthy, sane way. That, my friend, is an accomplishment that is worth turning 40 for. I don’t know that it’s possible before then. Beautiful and so powerful! I’ve known men like that too. Some you can “save” with love, others you have to let go. I’m glad you were able to do that. And I do believe you.